Heart rate, body temperature and blood pressure monitoring are very important parameters of human body. Doctors use various kind of medical apparatus like thermometer for checking fever or body temperature, BP monitor for blood pressure measurement and heart rate monitor for heart rate measurement. 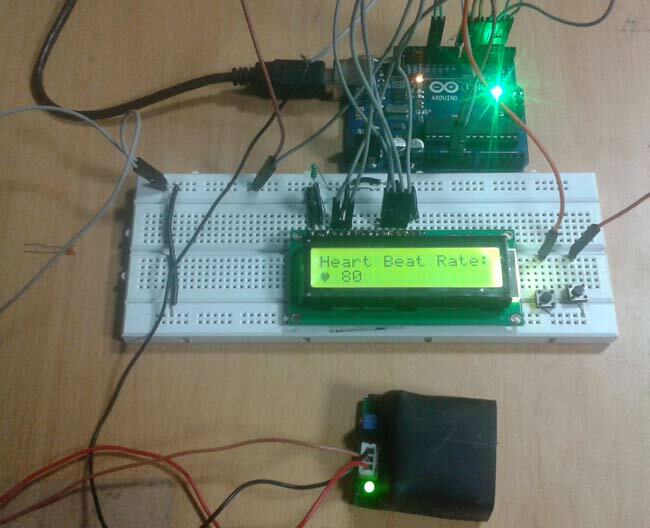 In this project, we have built an Arduino based heartbeat monitor which counts the number of heartbeats in a minute. Here we have used a heartbeat sensor module which senses the heartbeat upon putting a finger on the sensor. rate is final heart rate. 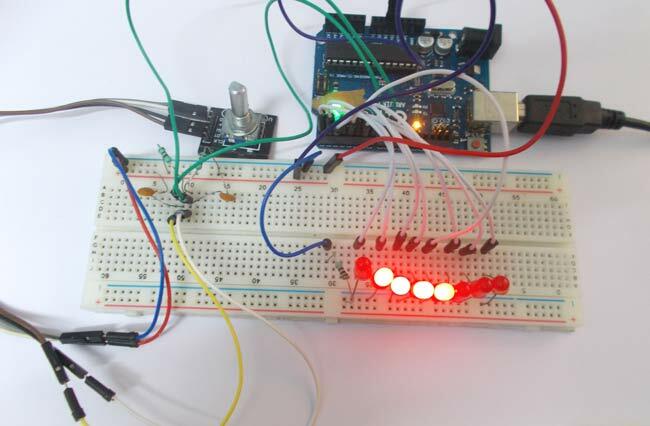 When first pulse comes, we start counter by using timer counter function in arduino that is millis();. And take first pulse counter value form millis();. Then we wait for five pulses. After getting five pulses we again take counter value in time2 and then we substarct time1 from time2 to take original time taken by five pulses. And then divide this time by 5 times for getting single pulse time. Now we have time for single pulse and we can easily find the pulse in one minute, deviding 600000 ms by single pulse time. In this project we have used Heart beat sensor module to detect Heart Beat. This sensor module contains an IR pair which actually detect heart beat from blood. Heart pumps the blood in body which is called heart beat, when it happens the blood concentration in body changes. And we use this change to make a voltage or pulse electrically. Circuit of heartbeat monitor is shown below, which contains arduino uno, heart beat sensor module, reset button and LCD. Arduino controls whole the process of system like reading pulses form Heart beat sensor module, calculating heart rate and sending this data to LCD. We can set the sensitivity of this sensor module by inbuilt potentiometer placed on this module.